For anyone about to participate in any kind of sports activity, protecting the mouth using the right gear is always recommended. This protection becomes an essential element for those wearing braces. If you are one of those persons who has braces, any injury to the mouth can not only affect and damage the teeth, but it could also result in the braces causing severe damage to the lips. Football is one of the sports that comes with the need for full facial guards. These offers protection to the mouth from various kinds of injuries. Even though a full facial guard provides plenty of protection, it is advisable to wear additional gear for mouth protection. This additional protection is to prevent any damage caused by the braces through internal impact, which is a common theme even though the facial guard works against any external impact from damaging the face. One need not go far to grab mouth guards, as they would even be available at the nearest retail stores, although they may also be known as the boil-and-bites. These can be softened by using boiling water, which will heat the material. When the guard is at a reasonable temperature, it can be placed in the mouth. Biting down gently on the guard will make it a fit by adjusting to the shape of the mouth. Even though these mouth guards do not provided the best fit or protection, they are a reasonable way of achieving some degree of safety. Dentists would be able to provide custom made mouth guards. Specifically made for you, these mouth guards will provide much better level of protection while also being comfortable to wear. These guards also come with several layers, which makes them extremely durable. Orthodontic patients are recommended to use the custom guards by the American Dental Association. These custom made guards will provide the best possible protection for the braces, and, of course, your teeth. Irrespective of the sport being played, the mouth guard will always come in handy when it comes to protecting the braces. You would be surprised at how a game like table tennis, largely regarded as harmless, can cause contact injuries. An important element to consider is that any additional gear should not be an interference to the athletic activity, and it is also the recommendation of Academy for Sports Dentistry. Consultation with your local dentist will help you quickly get a mouth protection that fits properly. More importantly, it is essential that this protection serves to keep your braces from causing any untoward damage to your mouth. 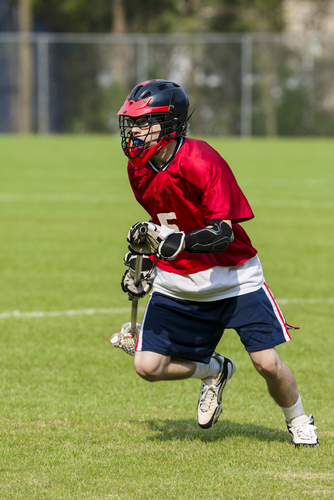 Even if a player suffers an accidental damage while being involved in the sporting activity, it is highly recommended to immediately contact a dentist even if there are no visible signs of an injury. The dentist would be able to check if every alignment is perfectly good, as there is a chance for the braces alignment to be altered without causing visible injuries. In such cases, the whole point of wearing a brace would be defeated if they are misaligned.